-1, i don’t like the idea. 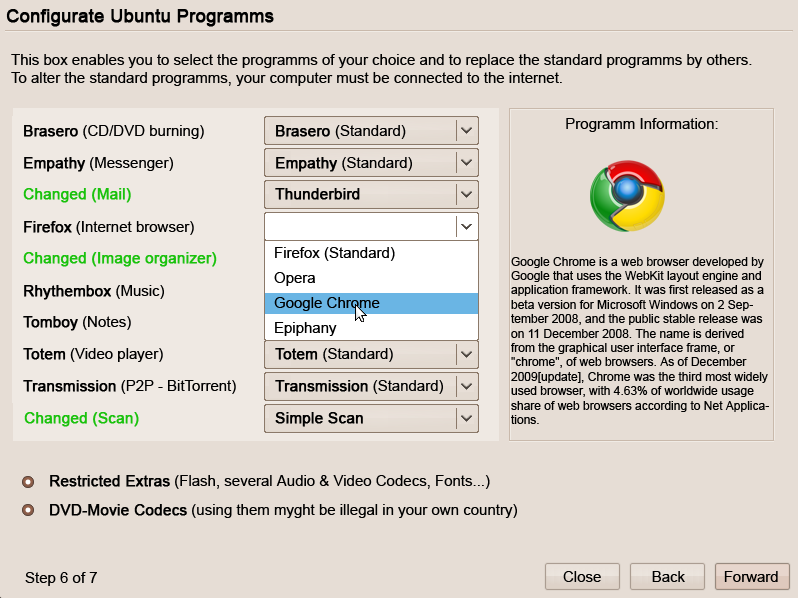 Ubuntu should have a default set of standard applications which suit the standard user the best way. That’s what made Ubuntu so successful: Having one good application for one purpose! Changing this idea makes it like every other distro around. I like it, it makes ubuntu much more personal. Great idea, there isn’t a single default application that I use. Every time I install ubuntu, I have to intall my favorite apps again. This could come in very handy for a novice user. This is just what i was thinking about and probably it could be placed under an advanced button so the novice users don come across this screen..
Would like to see it implemented asap..